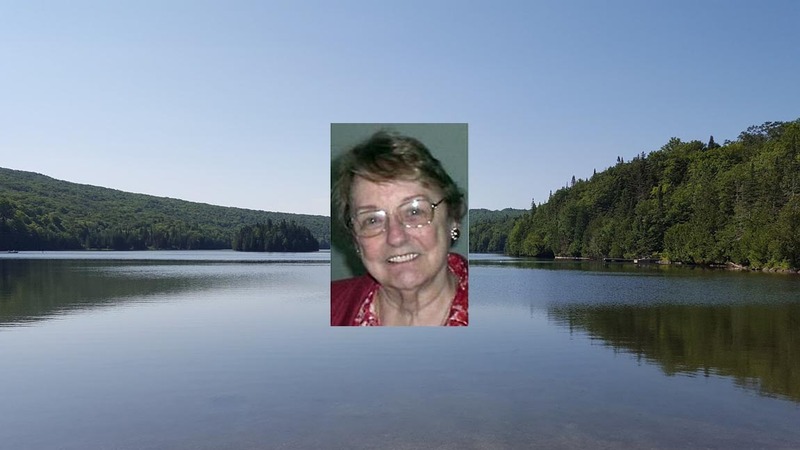 GLENS FALLS NY — Carolyn Gerrard, aka Carolyn Iler Shoen Gerrard, died June 8, 2018 at Glens Falls Hospital following a brief illness.Carolyn was born in Troy, NY to Elbert Iler and Margaret Waring Iler. She was raised near the Hudson River in Pleasantdale, NY with her surviving sister Agnes Iler Regan, currently of Chandler, AZ. 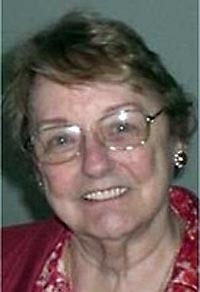 Carolyn graduated from Catholic Central High School in 1951 at the age of fifteen. She attended Albany College of Pharmacy where she met Robert Shoen. She completed two years of school before she married Robert Shoen on August 22, 1953 and they started their family. Over the next twenty-three years they lived in Troy, Governeur, Ogdensburg, and Syracuse, NY. Their children include Timothy, Catherine, Margaret Susan, Stephen, Michael, Patrick Matthew and Marianne. Carolyn was pre-deceased by Margaret Susan (1978) and Patrick Matthew (2009), as well as Robert, who died unexpectedly in 1976.Carolyn married James Gerrard in 1978 and she is survived by Jim, her husband of thirty-nine years. Jim and Carolyn lived in Longmeadow, MA, and Tarpon Springs and Spring Hill, FL before settling in Glens Falls in 1997. Carolyn Iler Shoen Gerrard made life-long friends at all of her stops. When her kids got a little older, she successfully started her own consignment store in Manlius, NY and then worked in retail after she relocated with Jim to MA. In Glens Falls, she worked with Sera Graphics at first, and then partnered to create Hometown Tees. That business created and developed designs of imprinted sportswear products that , like the iconic Glens Falls Gazebo design, celebrated community pride throughout the southern Adirondacks. She was a writer of stories and poems. She participated in local writing groups and publicly read selected poems. A life’s worth of poetry was self-published as a book she titled “FACETS”, which was a sentimental collection of her poems describing the adventures of raising seven children. Her most recent passion involved casinos and games of chance, but she never wrote about those experiences. Carolyn’s greatest joy was time spent with her family. She is survived by her husband James Gerrard, her sons Tim, Steve and Mike, and her daughters Cathy DeSanti (James) and Marianne Shoen-Hunter (Joseph). Her grandchildren were a huge part of her life for over thirty years. Left to cherish Carolyn’s memory and influence are Kara Lindsay and Megan Shoen (Tim), Allison and Kristen DeSanti (Cathy). She is also survived by Christopher and Sarah Shoen (Steve), Robert Shoen (Mike), Collin Shoen (Matt), as well as Danny and Carly Hunter (Marianne). Her great-granddaughter Sayde Shoen (Robert) was a source of great joy, as were numerous nieces, nephews, and in-laws of over sixty-five years. Calling hours will take place Wednesday, June 13, from 1 to 3 p.m. at Baker Funeral Home, 11 Lafayette St., Queensbury, NY 12804. A funeral service will follow at 3 p.m. at the funeral home, with the Rev. Joseph Arockiasamy, pastor of St. Mary’s Church in Granville. Burial will be private to the family. In lieu of flowers, it is suggested donations be made to the Spina Bifida Association of Northeastern New York, Socha Plaza, 123 Saratoga Rd., Scotia, NY 12302. Condolences may be mailed to Baker Funeral Home, or e-mailed through bakerfuneralhome.com.